Fight for $15: In 2017, we helped lead the coalition that passed legislation raising the minimum wage in MoCo to $15 an hour. MoCo was the first suburban jurisdiction in the country to pass a $15 minimum wage. Police Accountability: In the 2016 General Assembly, we partnered with groups in fighting for key legislation to increase police accountability and transparency. We won several important measures, and will keep fighting at the local and state level to improve how law enforcement operates in our city. Invest in DC: In 2011, we fought for and won progressive income taxation of people who can invest in our city and pay taxes according to their means, to protect vital safety net programs that ensure all DC residents’ basic needs are met. 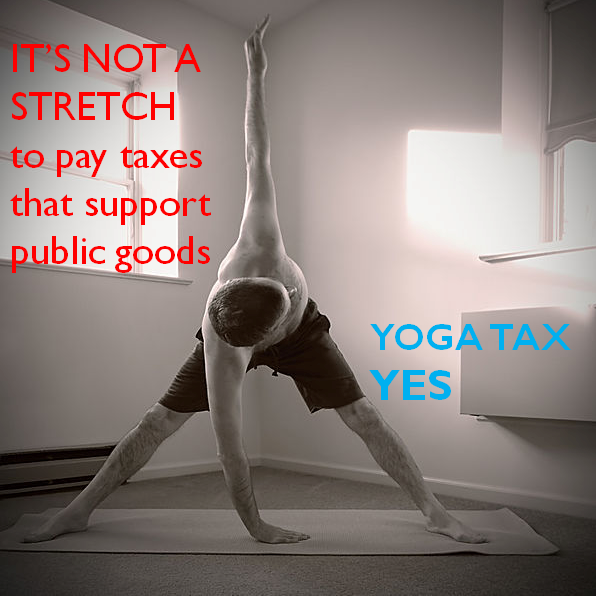 In 2014, we campaigned using #YogaTaxYes for a new budget proposal facing opposition from yogis and other fitness workers. These industries are now equally subject to DC’s sale tax, thanks to us. Domestic Worker Rights: We helped pass legislation in Montgomery County, Maryland that protects the rights of domestic workers, including nannies, housekeepers, and others. DC Voting Rights: We continue to work towards the passing of the DC Housing Voting Rights Act that would give DC a voting member of the House of Representatives. Day Laborer Justice: We educated the public about the challenges day laborers face, from exploitation to wage theft, and built better relationships between day laborers and the rest of the community. Mandatory Inclusionary Zoning: Our “Yes In My Backyard” campaign played a critical role in applying new affordable housing policies (particularly Mandatory Inclusionary Zoning) to the entire city by dispelling the impression that more affluent regions of DC opposed affordable housing. Eviction Prevention/Emergency Assistance: JUFJ played a key role in the dramatic expansion of the Emergency Rental Assistance Program, which helps keep families in their homes and out of shelters through small one-time assistance for rent.